Youtube / Wendover ProductionsAn abstract illustration of the EURion Constellation, which appears on various international currencies as a security measure. You shouldn’t ever try to copy money. Also: You physically can’t do it. 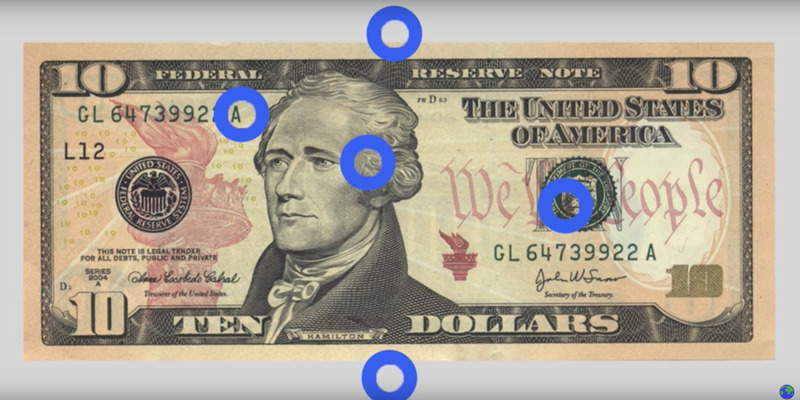 In a video from the series That Wikipedia List we first spotted on Gizmodo, Wendover Productions explains that currency has a highly secretive, built-in system that alerts technology like photocopiers and Photoshop to stop working on it. Because counterfeiting is highly illegal, a photocopier will refuse to copy a bill, and Photoshop will reject the image. 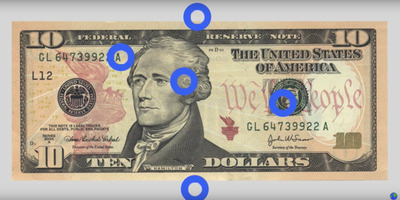 The pattern depicted in blue dots in the screengrab above is called the EURion Constellation, and was a security measure found in multiple international currencies. However, now there’s a new counterfeit-stopper on the block … and no one knows much about it.